VBA was considered a dead language until new functionalities and objects have been made available to enable data exchange between MS Office products and the Web. Today VBA offers functions to send HTTP requests, receive HTTP responses and parse the final results using technologies and objects e.g. DOM, XML parsing, JSON parsing, XML XPath, VBA Regular Expressions, ADODB connections to SQL Server and mySQL Databases, generate Web Browsers to embed into VBA forms and much more. 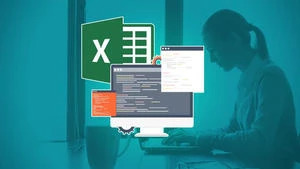 Before into details I have included some lectures for those that are new to understand and get to know Excel, Visual Basic for Applications (VBA) and HTML.